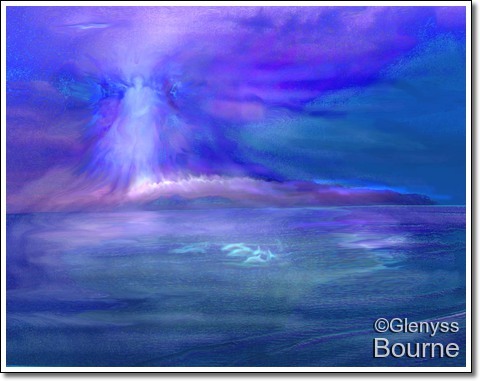 One day I was healing a friend with the help of another person, I am a Reiki and Angelic healer and I work with Glenyss with Angels. This is the first time that I can recall ever seeing an Angel in front of my eyes actually in the room. 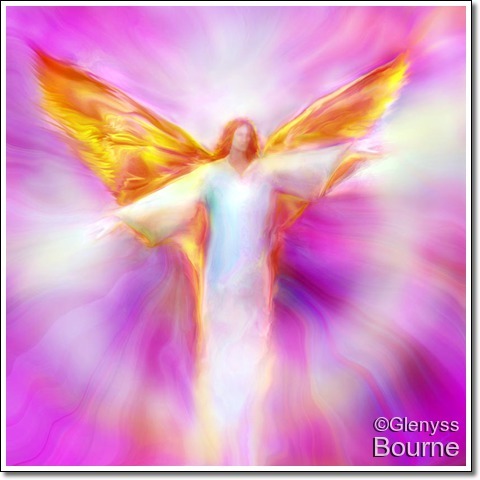 I have been able to feel the presence of Angels and hear them, maybe caught glimpses of light. 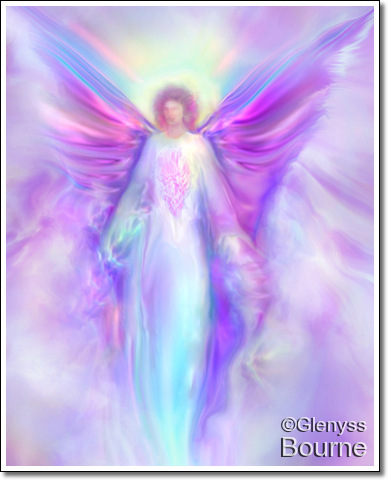 I remember calling in more Angelic protection for my friend. The assistant in the room also felt the presence of an Angel, but I was busy watching Archangel Michael come into the room. He was HUGE he had to shrink down so much just to fit into the room which had quite high ceilings. 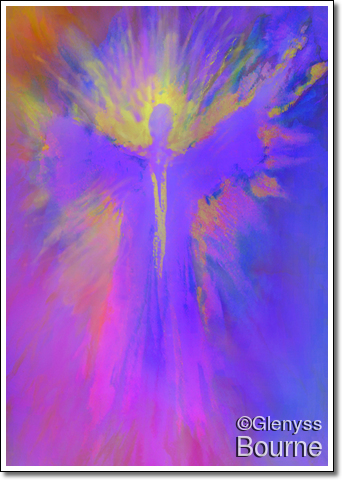 I knew who he was straight away as I had called upon Archangel Michael and I asked him in my mind is this you and are these the right colours I am seeing and he said yes. Archangel Michael had huge golden wings which were just like pure gold and his wings seemed to be able to move down a bit like an elevator every which way. They moved along the healing table and wrapped my friend up like a cocoon only leaving her face out and covering her from head to toe. It is at this time that my friend started to let her emotions out. 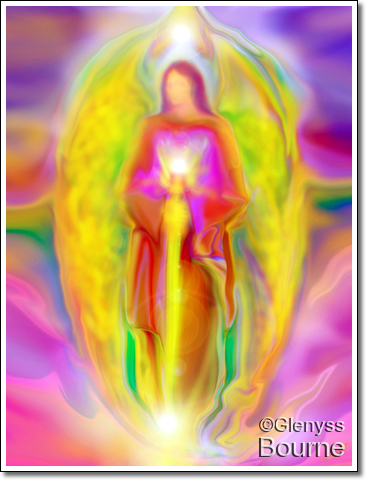 I just watched Archangel Michael in awe. He told me to make sure that I told Glenyss what he looked like and was very insistant on getting the colours right. I did this and Glenyss painted him. 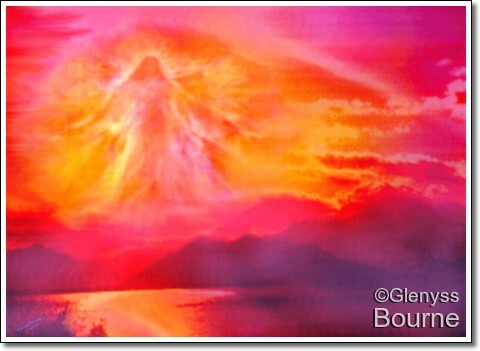 This painting of Archangel Michael is on the side of this blog. 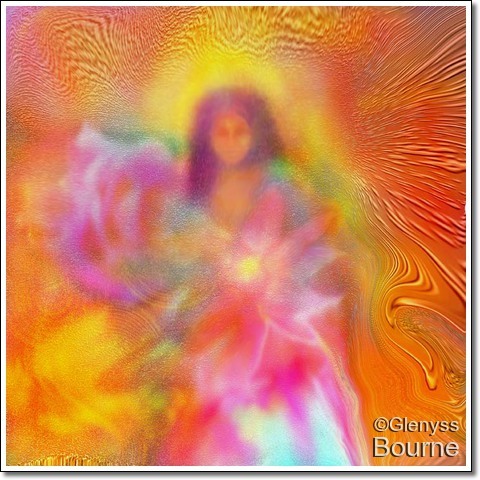 Archangel Michael was happy with the energy connection of this painting to him and was quite particular in how it was done. He told me that many people say that he is really blue and he is not blue. This confuses the energy connection to him and often calls on others. 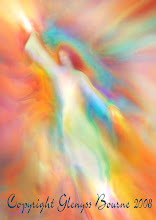 He told me that to be sure you are only connected to the "True Light", this is how you know you are connected to the highest possible place with no interference. 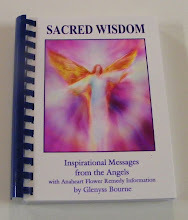 I often work very closely with Archangel Michael. 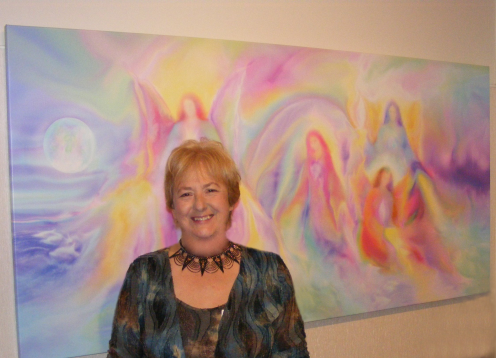 I work at Sanctuary Angel Gallery in Frankston, if you are interested in a True Light energy healing with the Angels from the highest vibration. 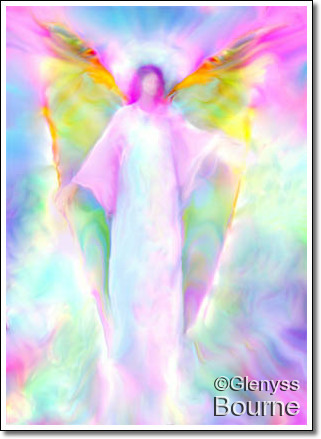 I can do remote Angel Healing or Angelic healing over the phone. 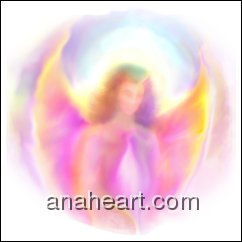 You can find my details here at the bottom of the Anaheart Sanctuary Angel Gallery page under therapists. Can't wait to get to heaven...if Jesus will allow me in. I had a life/death experience when I was young...which most people within the Church don't believe in, but it did happen to me. I know that Jesus knows who I am, and He loves me so much! He loves everybody so much! It's because we lack true heavenly knowledge. When I was there, everything that I ever wished I knew was given to me. Every math problem that I ever could not understand was immediately given to me...I understood everything, and was not boastful about that knowledge...I was in love with the creator who gave it to me and was happy beyond anything and everything that could ever be given to me on this earth. After I woke up, I started running around the house like a crazy person telling everyone that I met Michael. He was beautiful. Magnificent. His wings went through my ceiling. As I reached out to touch them, you could see each feather. They were pure white and each feather was approximately 6 inches long. There were literally hundreds of thousands of them. Folded down, each wing must have been 15 feet long. It was amazing. I almost had a heart attach looking at him...well..them...but he was the brightest and most beautiful. He had hands and a robe, and wings...but no face. Gabriel spoke to me and told me not be afraid. Michael told me his name and reached his hand out to my sheet on my bed. That's when he took me to that place. It was beautiful. The clouds were purple and pink. Like you see when you're above the clouds in an airplane. That's when they gave me the knowledge. That's what's waiting for us. Can't wait to get there. The Miracle of the Cow!